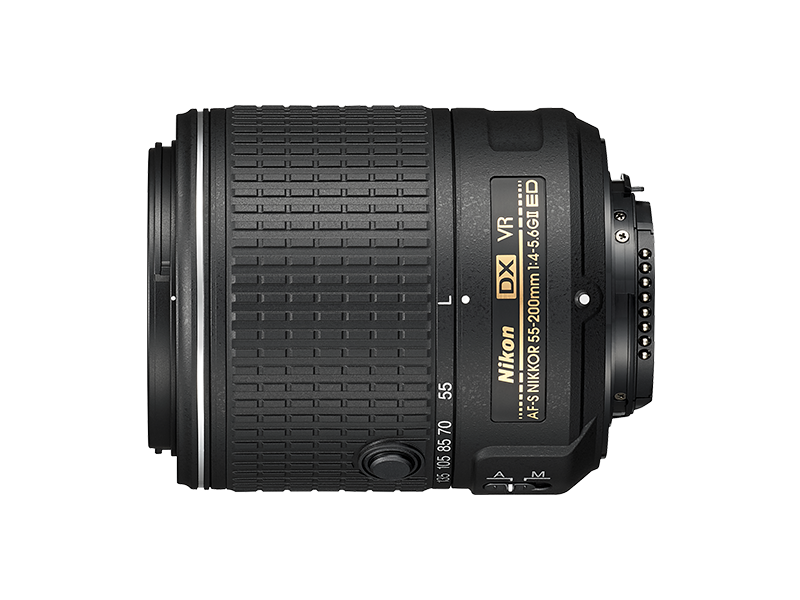 DX-format compatible, telephoto zoom lens with 55 to 200 mm* focal-length range and f/4-5.6 maximum aperture. 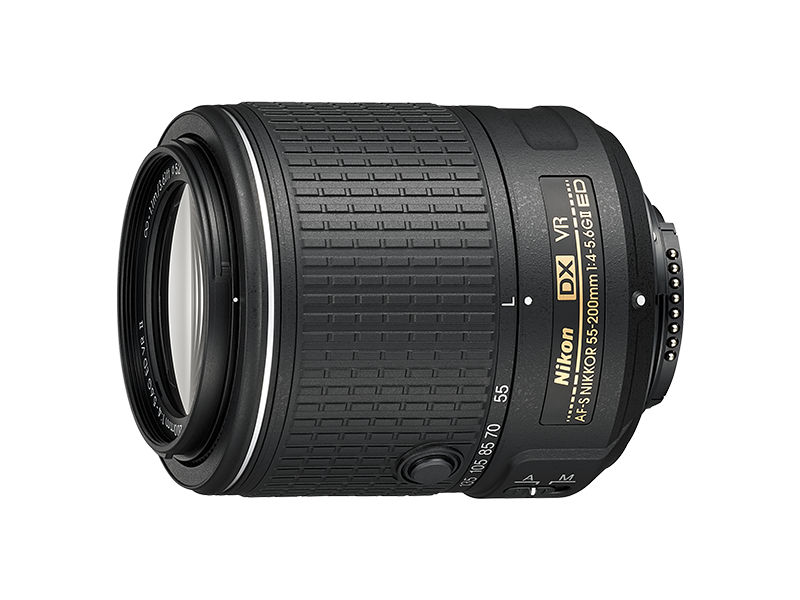 * Angle of view is equivalent to that of an 82.5-300 mm lens in FX/35mm format. Remarkably compact size is realized with the retractable lens mechanism. Employing one ED glass element, superior optical performance with minimal chromatic aberration is achieved.